MediaMan is the ideal software to manage your media collection. It is not only a powerful tool to keep a digital catalog of all your books, videos, music, and games, but also an interactive jukebox that can enrich your digital entertainment life. 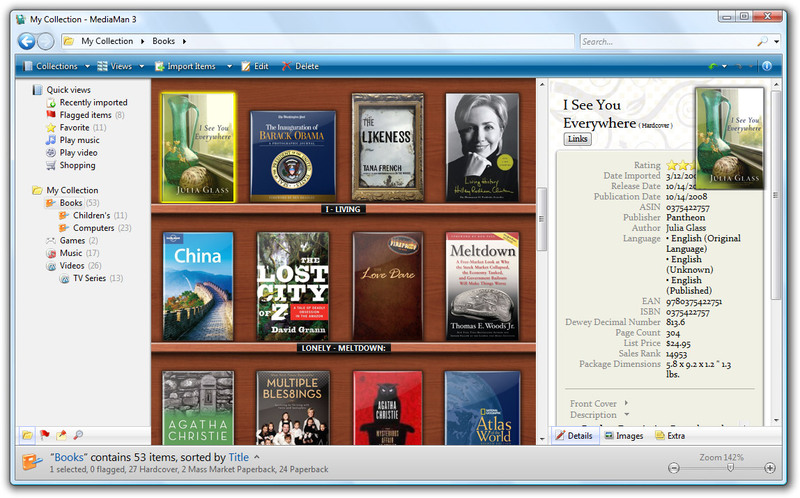 MediaMan 3.0.1034 - MediaMan, the ideal software to manage your collection. Powerful and free movie organizer.